Saya tidak begitu mengenali gambar orang di sebelah Abdul Hadi Awang, yang pakai nametag ABY. Bila dirisik saya difahamkan dia ini salah seorang Setiausaha Politik Perdana Menteri. 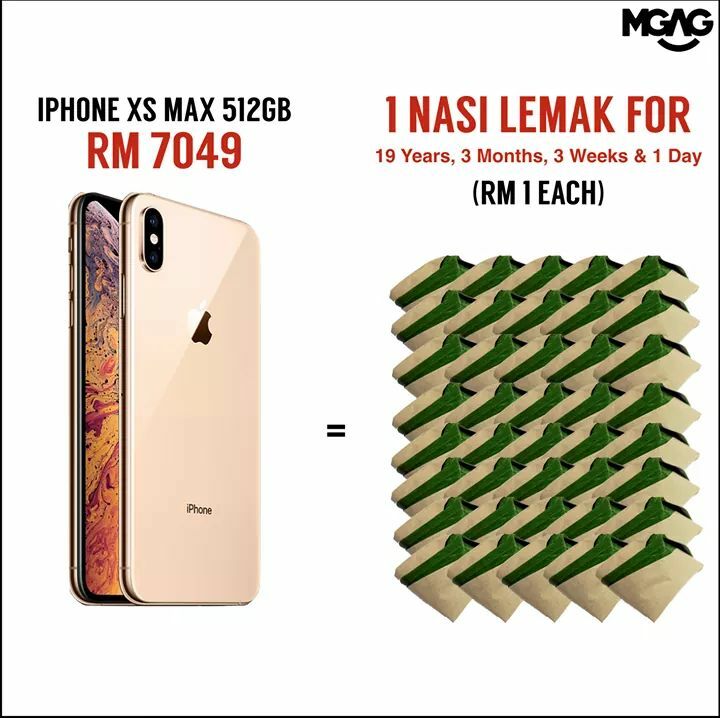 Di mana gambar ini dipukul tidak pula diketahui. Namun bila dilihat kepada suasana, ia seperti gambar di sebuah pejabat. Apakah ia di JPM di Puterajaya? Bersama gambar ini sekeping lagi gambar dikirimkan kepada saya, gambar Mustapa Ali dan dikirinya seorang pemimpin “mentor” Bersatu? Timbul persoalan untuk apa kalau Presiden Pas itu mengunjungi Perdana Menteri? 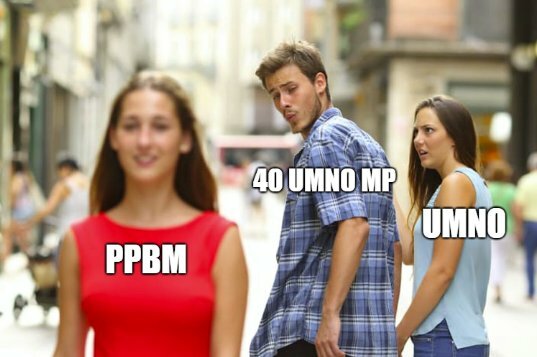 Saya lebih cenderong untuk membuat tafsiran kunjungan ini bermotif politik. 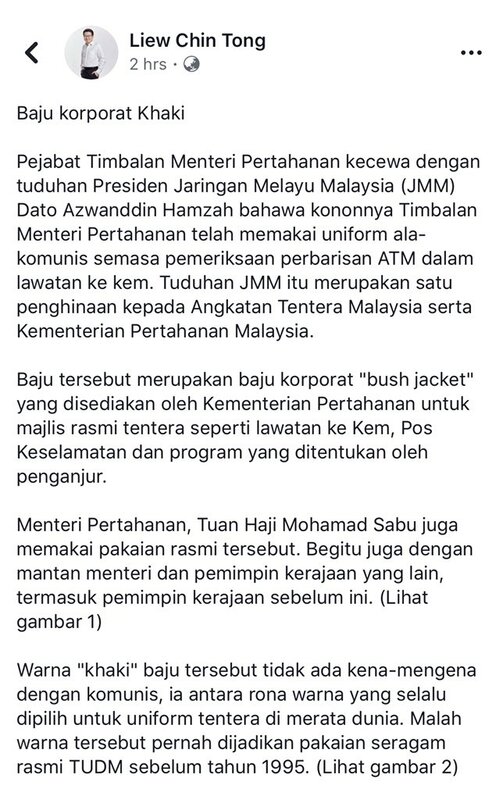 Kalau ia hubungan di antara kerajaan dengan kerajaan, sepatutnya ada Menteri Besar Terengganu yang dilihat sesuai MB berjumpa dengan PM. 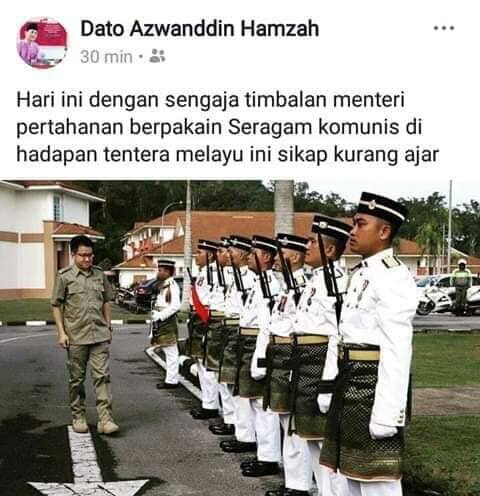 Tiada ada lah pula gambar Samsuri Mokhtar bersama. Abdul Hadi dan Mustapa Ali bukan wakil rasmi kerajaan negeri, kerana mereka tidak ada apa-apa kuasa untuk mewakili kerajaan negeri. 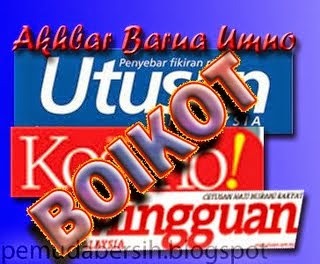 Berdasarkan itu maka kunjungan ini bermotif politik. Dengan meminjam istilah Mohd Amar Nante, “siapa kamu”? Kalau ia bermotif politik, apakah tujuan dan matlamatnya? Apakah ada maksud Abdul Hadi mahu mengadai 17 orang ahli parlimennya untuk apa-apa kepentingan di Terengganu dan Kelantan. Umum tahu kewangan kedua buah negeri diperintah oleh Pas itu dalam keadaan tidak begitu menyelesakan. Bekas perdana menteri Datuk Seri Najib Razak cuba menghalang proses keadilan di negara ini apabila menggesa kerajaan Pakatan Harapan berhenti mencari kesalahan dirinya, kata Ahli Parlimen Iskandar Puteri, Lim Kit Siang. 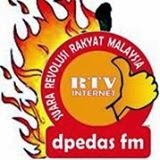 “Adakah Najib mencadangkan bahawa Pakatan Harapan tidak harus membuka semula siasatan ke atas kes pembunuhan Altantuya Shaariibuu bagi mencari motif pembunuhan tersebut, sesuatu yang gagal dilakukan oleh pentadbiran Najib sebelum ini, atau menyiasat skandal 1MDB?” katanya dalam kenyataan, hari ini. 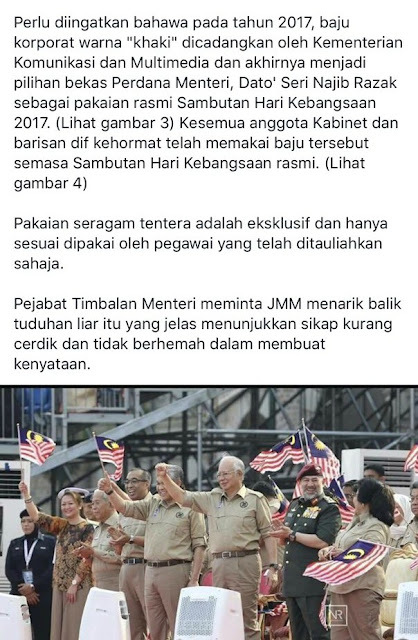 Beliau berkata demikian mengulas gesaan Najib yang juga Ahli Parlimen Pekan supaya kerajaan berhenti mencari kesalahan dirinya dan pentadbiran terdahulu, sebaliknya memberi tumpuan untuk menyelamatkan ekonomi negara. Menteri Dalam Negeri Tan Sri Muhyiddin Yassin di Parlimen semalam, berkata tindakan sewajarnya akan diambil terhadap Najib dan isterinya Datin Seri Rosmah jika mereka didapati terlibat dalam kes pembunuhan model warga Mongolia itu. Terdahulu, Ahli Parlimen Bukit Gelugor Ramkarpal Singh bertanya sama ada Najib dan Rosmah akan disoal siasat berhubung kes pembunuhan Altantuya susulan pendedahan ahli perniagaan Deepak Jaikishan mengenai penglibatan pasangan itu. Tommy Thomas was initially rejected as Malaysia’s next Attorney General when Prime Minister Mahathir Mohamad proposed his name. Even the “Yang di-Pertuan Agong Sultan Muhammad V (the King)” disagreed with the appointment of the senior lawyer as the country’s top legal adviser. The excuse – not only he isn’t a Malay-Muslim but an ethnic-Indian, he is also a Christian. 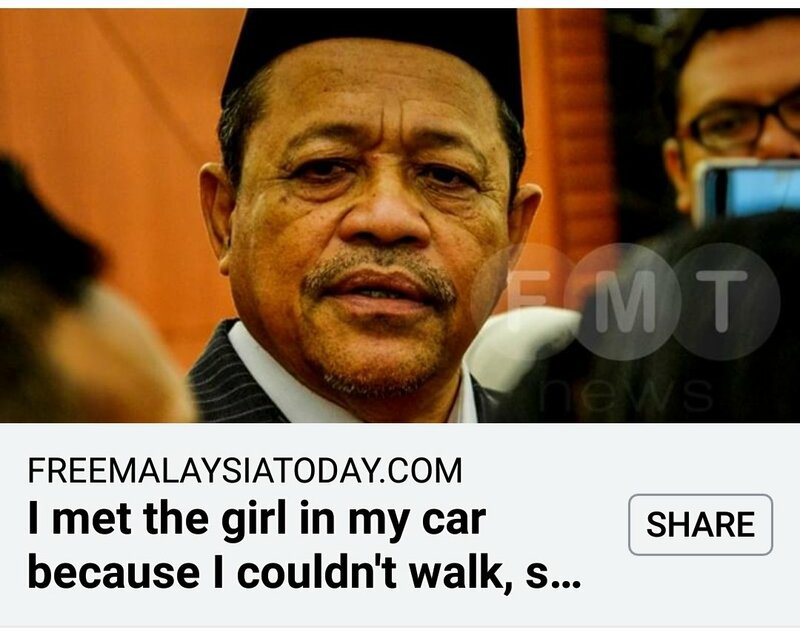 After Mr. Thomas received massive support from Malaysians, especially the netizens, the King had a new twist – he wanted somebody who had been a judge or even a retired judge. The King also argued he wanted an A.G. who is able to advise him on Shariah matters. Mahathir, nevertheless, countered that the Solicitor General can handle that job. Still, the King insisted the A.G. should be the one advising him. 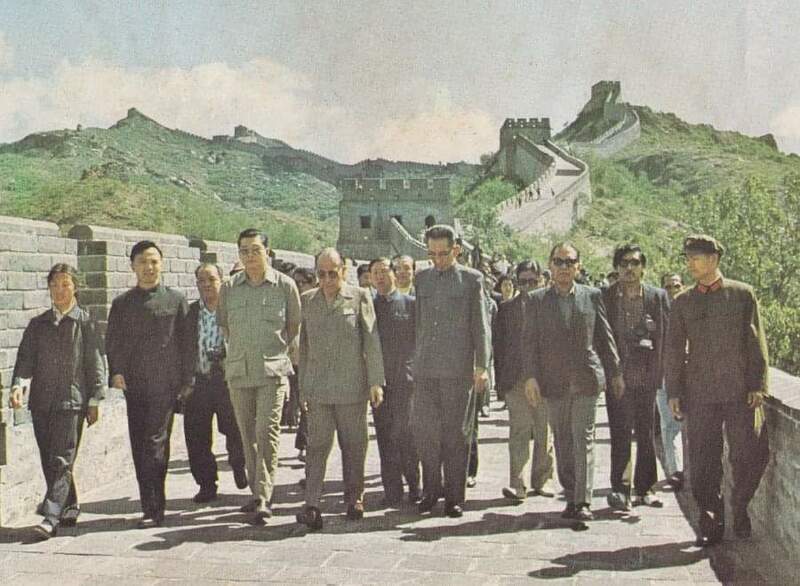 However, the 93-year-old PM refused to budge and stood his ground. That had terrified the monarch. 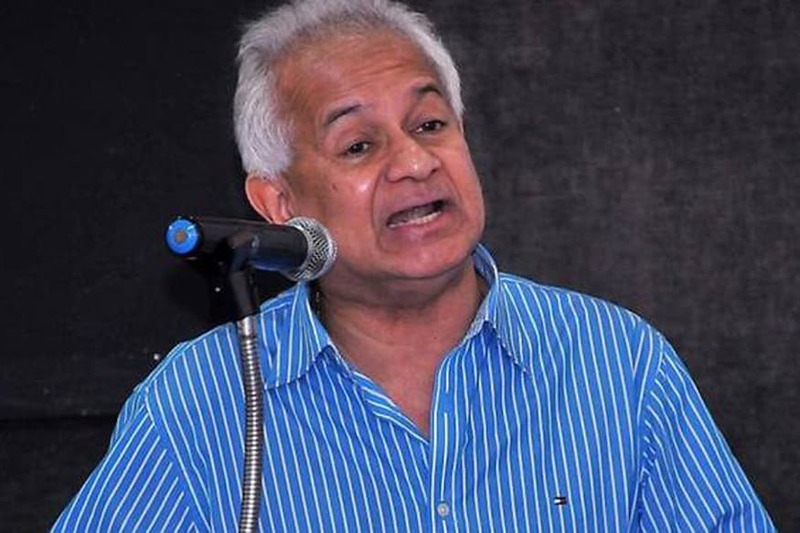 In fact, Mahathir was ready to start a Constitutional Crisis with the monarchy, considering he deliberately proposed only one name – Tommy Thomas. 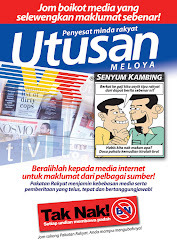 And when the monarch tried to be funny, probably emboldened by UMNO racist supporters, Mahathir fired a warning shot. On June 3 (Sunday), Mahathir declared that his administration will not submit any other names for the position of attorney-general, as the Malay rulers prepare to gather for an emergency meeting in Kuala Lumpur on Tuesday over the matter. 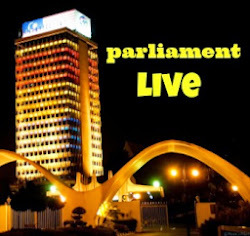 “Under the federal constitution, the Yang di-Pertuan Agong has to act (to appoint the A-G) on the advice of the prime minister,” – warned the prime minister. It was over before the rulers emergency meeting can even begin. 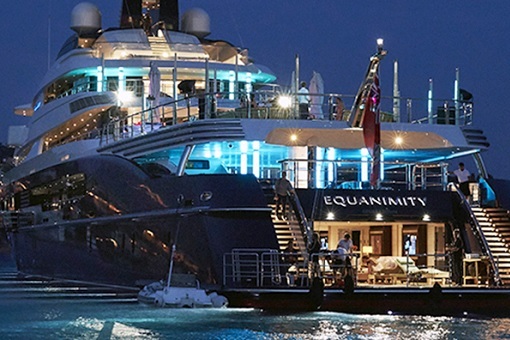 Had Mahathir bent over and kissed the hands of the monarch like Anwar Ibrahim, the US$250 million superyacht Equanimity bought with stolen money by Jho Low would most probably had sailed for the United States. Malaysia would be at the mercy of the U.S. for whatever leftover crumbs arising from the sale of the yacht. Working with the best brains, including Ms Sitpah Selvaratnam, the Attorney General Chambers quickly and efficiently invoked the Admiralty jurisdiction of the High Court of Malaya at Kuala Lumpur against the yacht, and on 6th August 2018, the Court issued a Warrant of Arrest against it. 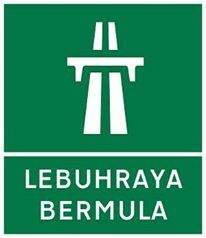 Thanks to Tommy Thomas, Malaysia has finally started the auction of the Equanimity. But saving the country hundreds of millions of ringgit in claiming the yacht was just the appetizer. 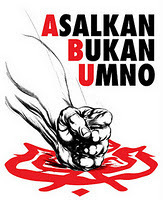 The attorney general, attacked by racists and extremists belonging to UMNO-Malays and PAS Islamist party, is now trying to save a staggering US$5.78 billion (£4.53 billion; RM24.17 billion) of taxpayers money which otherwise would go into paying Abu Dhabi’s IPIC. Unlike his incompetent and corrupt predecessor – former A.G. Apandi Ali – who was caught dancing with disgraced ex-premier Najib Razak’s band of crooked ministers, A.G. Tommy Thomas has been working quietly on the Abu Dhabi’s International Petroleum Investment Company (IPIC) case. Now, Mr. Thomas will show why meritocracy, not kleptocracy, is important to the country. 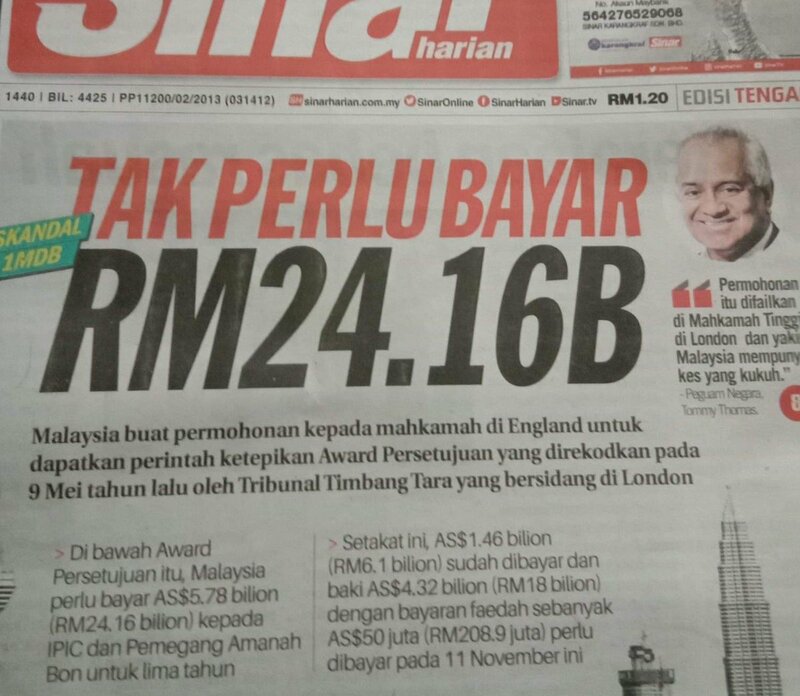 Thanks to Najib Razak, an arbitration tribunal sitting in London had on May 9, 2017 recorded a consent award for Malaysia to pay US$5.78 billion (£4.53 billion; RM24.17 billion) to IPIC and the bond trustee over a five-year period. So far, US$1.46 billion (RM6.1 billion) has been paid, leaving a balance of US$4.32 billion (RM18.1 billion) – with the next interest payment of US$50 million (RM209 million) due on Nov 11. But now the new Malaysian Government will apply to the High Court in London for an order to set aside the US$5.78 billion consent award. Essentially, if succeeded, not only the country does not have to pay US$4.32 billion (£3.38 billion; RM18.1 billion) to Abu Dhabi, but will also able to recover the US$1.46 billion (£1.14 billion; RM6.1 billion) already paid. Expressing his confidence that the Malaysian government has a “strong case”, Tommy justified the basis of Malaysia’s legal challenge was that the consent award was procured by fraud (committed by Najib Razak) or in a manner contrary to public policy. And Abu Dhabi’s IPIC or Aabar Investments PJS knew about the fraud but made the fraudulent claims anyway. Apparently, Abu Dhabi’s IPIC or Aabar would have known of Najib’s alleged fraud by the time of U.S. attorney-general Loretta Lynch’s announcement in the DOJ’s July 2016 press conference of the department’s filing of several civil suits to freeze assets that it said were the result of US$3.5 billion that was misappropriated from 1MDB (1Malaysia Development Bhd) – a fund set up by Najib Razak in 2009. The theft, described as the “greatest kleptocracy in modern history”, was given tremendous global publicity, particularly in the political and business media. 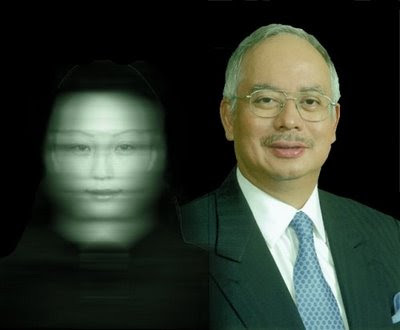 Tommy also said that Najib is identified as “MO1” in the DOJ pleadings and any reasonable reader reading these documents would immediately become aware of his central role in defrauding 1MDB to the benefit of himself, his stepson and Jho Low. 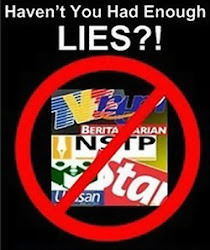 “In such circumstances, Malaysia takes the position that IPIC and Aabar were aware of the fraud of Najib Razak. He was principally responsible for 1MDB and Minister of Finance Inc. consenting to the Award. Every system of law would hold that he could not possibly have acted in the best interests of his country and his company,” – said A.G. Tommy Thomas. Actually, Malaysia can sue U.A.E or Abu Dhabi because Khadem Al Qubaisi, former managing director of IPIC, was working with Jho Low (real-name: Low Taek Jho), whom in turn was Najib’s partner-in-crime in stealing or scamming Malaysia to the tune of US$3.51 billion. Its worth to note that 1MDB has claimed to have paid to the IPIC or its subsidiaries the money owed (US$3.51 billion). However, Abu Dhabi said they had received none. As a result, 1MDB has to pay IPIC the US$3.51 billion all over again – for the second time – after claiming they had already paid the money. As it turned out, 1MDB had paid US$3.51 to Aabar Investments PJS Limited (Aabar BVI) – a fake subsidiary of IPIC (the real subsidiary is Aabar Investments PJS (Aabar)). Strangely but interestingly, it was only after the filing of lawsuits by U.S. Department of Justice to seize assets that it said were the result of US$3.5 billion that was misappropriated from 1MDB that Abu Dhabi authorities moved in to arrest Mr. Khadem, the person entrusted with running Abu Dhabi’s US$80 billion sovereign-wealth fund. 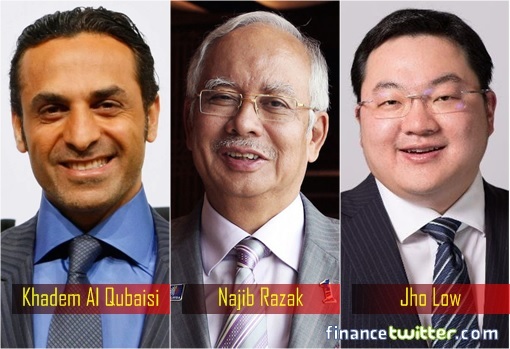 Khadem Al Qubaisi, who was working hand-in-glove with partner-in-crime Jho Low, received at least US$470 million of money siphoned from 1MDB. In 2016, Jho Low was involved in the process of trying to stop the U.S. from seizing US$650 million in real estate and business investments the U.S. government claims were acquired with funds stolen from his home country – Malaysia. 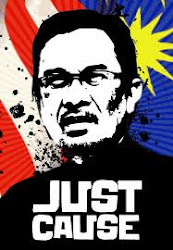 Had Mahathir appointed another incompetent attorney general similar to the disgraced Apandi Ali, just for the sake of appointing a Malay-Muslim, it could be business as usual today. 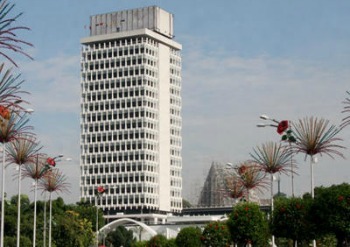 Malaysian taxpayers would continue to pay interest payment of US$50 million periodically and the two final bullet payments of US$1.8 billion each for the principal until April 2022. There won’t be any Equanimity, of course. 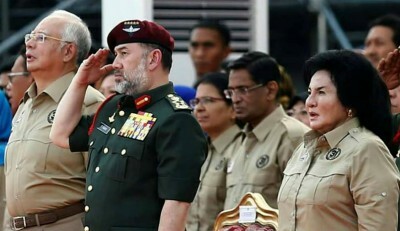 Sebelah kanan dan kiri Agong kominis ke?